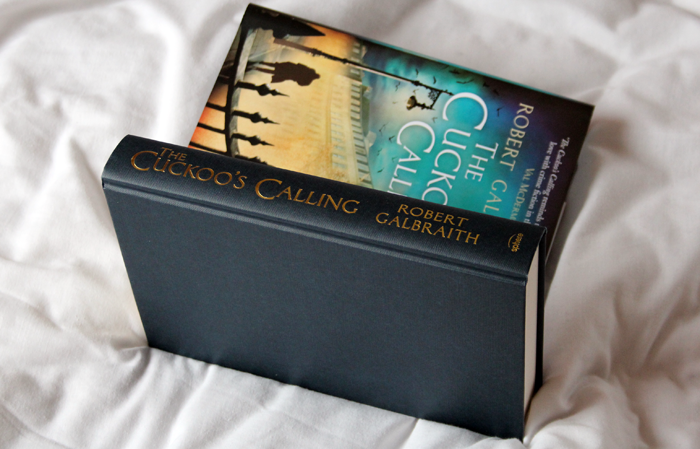 The Cuckoo's Calling by Robert Galbraith is J.K. Rowling writing under a pseudonym and although I came to it knowing this was the case, I'd like to think this would be a book I would have bought purely because I liked the premise and I've attempted to write my review as though it's from an author I'm not familiar with. That being said, I do love J.K. Rowling, I've made no secret of the fact she is a huge inspiration to me and I'm only human, so bear that in mind! This book was one of my first forays into the world of mystery/crime fiction in a really long time, so I'm no expert on the genre, but I thoroughly enjoyed it. There are few things I like more on a cold & rainy evening than a good old whodunnit! I remember watching Midsomer Murders and Poirot when I was younger with my mama and having mini competitions for who could correctly guess the murderer first; she taught me her ways and now I pride myself at being pretty good at figuring out who it is. But not quite as good as she is. From the very first pages I knew this would be a book I wouldn't be able to put down and in the end I read it in a single day - thankfully I had a spare day because otherwise I would have happily stayed up reading until 4am and spent the entire next day being very sleepy indeed. I think it's incredibly Rowling in its style, there is a lot of care given to the building of the characters and their relationships to one another, something I personally really enjoy because it allowed me, as a reader, to build up a picture of them in my head & try to figure out what they're all about, how they think and how they fit into the story as a whole, which really helps when you're trying to solve a mystery! The plot gradually thickens the further into the novel you get, a few times I thought 'ohh I think this person may have something to do with it' before very quickly being steered in a completely new direction. The plot never feels overly complicated though, the writing steered me through the novel perfectly, giving just enough information to keep me guessing and enough room to be constantly looking for the next clue. As always, the scenes are consistently detailed and thoroughly explained throughout and I think it's a style that really lends itself well to mystery writing because I found myself thinking every little detail was a clue, I became really involved with the characters and that makes for a really enjoyable read in my eyes. I did have an inkling as to 'who did it' somewhere around the middle, but I was steered away before eventually working it all through just before the person is revealed. I'm really glad that I didn't have it all figured out in the first third and although that means I'm perhaps not as good at solving mysteries as I thought, I think it's more a testament to the novel itself. I adored the character of Robin (yes, she's really called Robin - lovely touch I thought!) from the very beginning and I really warmed to Cormoran Strike as I learned a little more about the life he's had and how he thinks things through. I believe Galbraith has already written the sequel, which will hopefully be published next year, and I'm very much looking forward to reading it and getting to know Robin and Strike a little more. In terms of my rating, it's probably more like a 4 & 3/4 sailboats, but I've rounded it up because I really did love it! 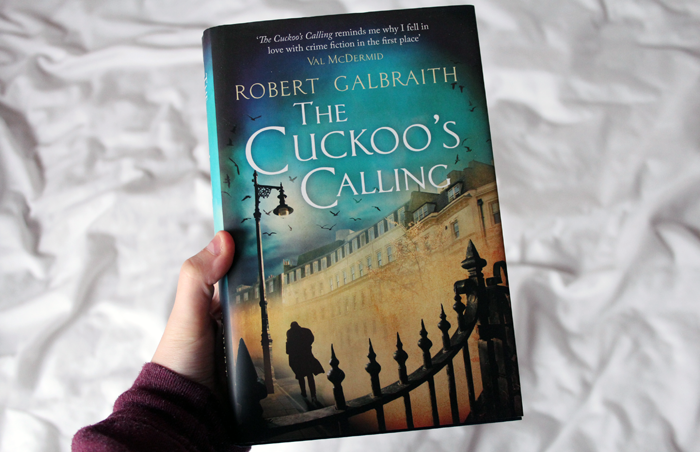 Have you read The Cuckoo's Calling? After such a glowing review it looks like i'll have to buy it! I haven't bought this book yet, as I have The Casual Vacancy on my bookshelves unread still, and I would like to read that one first for some reason. 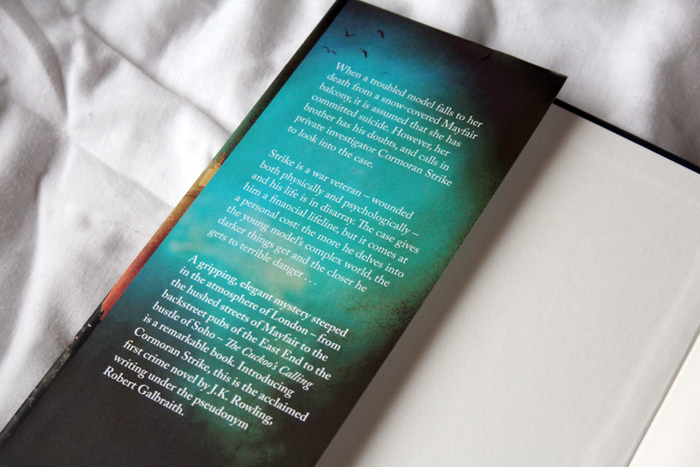 But I'll definitely read this book at some point, I'm very curious about it! This one does sounds like a good read! I did a really similar review in that of heard it was a JK arrow long but tried to not think about that and read it for the book it was! I loved it! Perfect for a rainy Sunday! I haven't read the book but a friend of mine had recently, after putting a load of Agatha Christie and Conan Doyle on my to-read list, I've been wishing to dip into a little mystery recently- the way you put it, this sounds like a really great read for it, whether it was Rowling or not! Ooo I had no idea about this book!! Will have to read it!! This one is definitely being added to my reading list - thanks for the review! Sounds like a really interesting read. I love it when you get that 'can't put it down' feeling! Sounds like a really excellent read. I definitely want to add this to my reading list. WHAT; THERELL BE A SEQUEL????? IM ON IT!!!! I need to read this, I've been putting off reading another J.K Rowling book for so long just incase I don't like it and it makes me feel bad!